1996 was a year of great tension with China for the Howard Government. On 1 January, the National Archives released the 1996-97 Cabinet records detailing the Howard Government’s first years in power. While media attention remains primarily focused on Howard’s domestic policies, 1996 was also a busy year for Howard in foreign affairs. Most notably, Australia’s relationship with the People’s Republic of China (PRC) sank to its lowest ebb since the 1972 Whitlam recognition due to a series of incidents. Howard’s campaign to power was a strong repudiation of much of the Hawke-Keating Governments’ agenda. In the field of foreign affairs, the Coalition’s approach was “Asia first, but not Asia Only”, in stark contrast to their predecessor’s big picture campaign for engagement with Asia. Asia First, bit not Asia Only was soon put to the test. In March 1996, Taiwan held democratic presidential elections for the first time, and in a bid to influence the vote, Chinese missile tests “bracketed” Taiwan, with missiles landing just off Taiwan’s northeast and southwest coasts. The crisis had the potential to spiral into a full regional conflict. The US response was the biggest display of military power in Asia since the Vietnam War, with two aircraft carrier battle groups deployed to the area. At the time, Taiwan was the world’s number one purchaser of arms, and many military experts rated its military technology as far superior to the PRC’s. However, war was avoided as the PRC and US eventually backed down and the elections proceeded as planned. One of the first foreign policy initiatives of the new Howard Government was to call on the Chinese Ambassador to express its concern about the crisis. Both Minister for Foreign Affairs Alexander Downer and Howard unequivocally supported the deployment of American naval forces, urged China to show restraint, and suggested APEC be used to mediate between the PRC and Taiwan. Downer also welcomed Washington’s decision to move warships into the Straits which “demonstrated [US] interest in participating in regional security issues in a very practical way.” Australia was the only nation in the region to publicly support the US naval deployment. This crisis set the scene for the rest of the year. 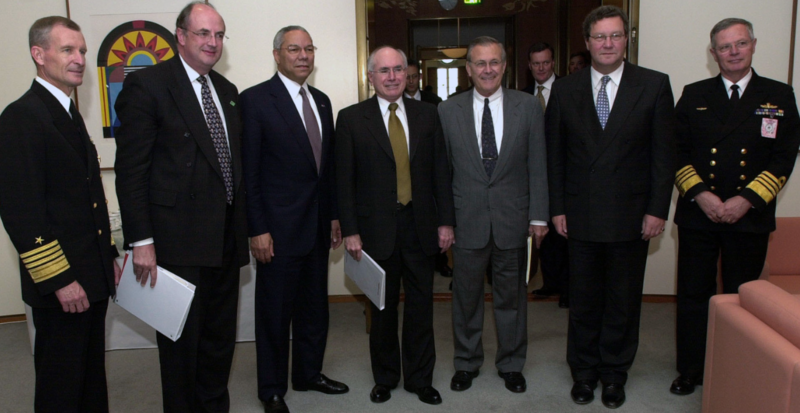 The Inaugural AUSMIN talks held in Sydney in July 1996 lead to the release of the ‘Sydney Statement’, which proclaimed the relevance of the alliance in the post-Cold War world, despite the absence of a defined threat. The Statement emphasised the common foreign policy goals of Australia and the US and the “vision” of combined military operations, ending with the sentence: “The Australia-United States security relationship, having proved its value for five decades, will remain a cornerstone of Asia Pacific security into the twenty‑first century.” The Chinese reaction came quickly in the official People’s Daily, which noted that the US Secretary of Defense, William Perry, had described Japan and Australia as the northern and southern anchors of US security arrangements in Asia, referring to these anchors as the craws of a crab. The DIFF was a soft loan Australia gave to foreign governments in weak economic positions to help pay for up to 35 percent of a tender to Australian companies. The DIFF was cancelled without notice, with Treasurer Peter Costello labelling it a subsidy paid to domestic business. Downer narrowly avoided sanction for misleading Parliament, when he claimed no Asian minister had protested the cancellation of the DIFF. The Chinese countered this stating they had objected that the DIFF had been cancelled without consultation or warning and that a number of Chinese bodies had put time and money into investigating the feasibility of several DIFF projects. At the time, there were 19 DIFF projects at various stages of completion in China, worth about $140 million. Pauline Hanson’s maiden speech in Parliament, where she mentioned “I believe we are in danger of being swamped by Asians” received widespread international condemnation. For many of its regional neighbours, Australia served as a reminder of their own negative experiences of European colonialism. For many Asians, the Hanson movement revived the image of “White Australia”, a racist, anti-Asian nation, and a country unsafe for Asians to live, work or play. This perception grew as Hanson’s One Nation was electorally successful in the subsequent WA and QLD state elections. In June Howard and Downer condemned China’s latest nuclear weapons test, with Howard saying it was contrary to the international community’s expectations, and Downer saying the test was part of out-dated war logic. In August, Downer confirmed that the government had authorised negotiations for the sale of uranium to Taiwan. Beijing denounced this decision which came so soon after Australian condemnation of Chinese nuclear tests. In July, the mayors of Beijing and Shenzhen declined to attend an Asian cities’ conference held in Brisbane to protest against the attendance of the pro-independence Mayor of Taipei, Chen Shui-bian. 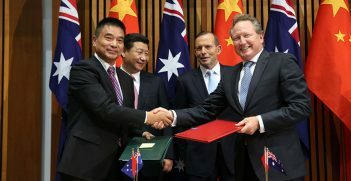 Downer had issued a statement saying that the federal government did not object to Chen’s visit. In September, the Chinese lodged an official protest that future Deputy Prime Minister John Anderson had brought a business delegation to visit Taiwan in his capacity as primary industries minister. The basis of the protest was that the visit contravened the One China policy. Any one of these issues was enough to cause a bump in bilateral relations with China. For all of them to occur in such a short space of time was disastrous and led to the relationship going into a deep freeze. In decisions remarkably coincidental to what the Turnbull Government was to experience over 20 years later, Beijing banned Australian ministers from visiting China and stopped negotiating with Australian businesses. In a broadened general critique of Australia’s foreign policy, Australia was compared to a bat in the Chinese media. It gave its allegiance to the mammals when they triumphed, but showed its wings and declared itself a bird when the birds were victorious. Australia’s support for US actions was referred to as parrot-like behaviour. Despite these inauspicious beginnings, in 1997 the Howard Government implemented several world first initiatives that eventually repaired its relationship with China, and which allowed the relationship relatively sail smoothly as China become Australia’s number one trading partner. Stjepan Bosnjak recently graduated with a Master of Arts (Research) from Victoria University. 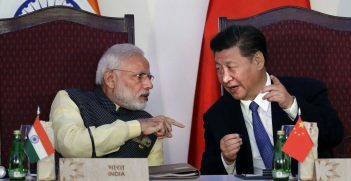 The idea of a formal trilateral economic grouping between India, Nepal and China began to circulate in 2010, but India’s official circles have maintained a guarded silence towards the proposal. Is it Time to Push Back Against China’s Economic Statecraft? China's hold over large enterprises allows it to manipulate Chinese companies to align with state interests. It gives China the rare ability to use economic power as an instrument of statecraft. Australia and others must learn to respond effectively. 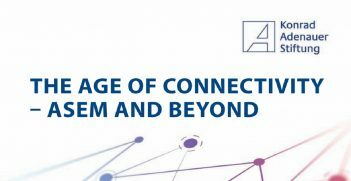 The 'Age of Connectivity' offers an insightful analysis into the vision and progress of the Asia Europe Meeting that serves to determine the guiding principle for the future of intercontinental connectivity.